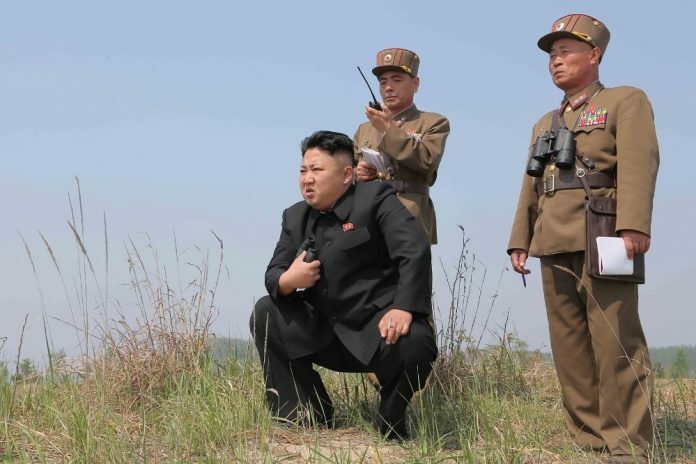 THE world was fearfully petrified in the last six months of 2017 as the US Government threatened to blow up the Democratic People’s Republic of Korea (DPRK) if it did not dismantle its nuclear weapons programme immediately. The DPRK’s leader, Kim Jong-un, responded by telling the US President Donald Trump to go and get stuffed and confidently continued with his country’s nuclear pragramme. The US and its Asian regional allies, South Korea and Japan, then launched a massive marine military exercise in the area while the US simultaneously proposed and got the UN Security Council to impose sanctions on the DPRK. As the entire world was still holding its breath wondering what would be the next DPRK move, it was pleasantly relieved, albeit greatly surprised, to hear that the DPRK was sending a sports team to participate in winter Olympic Games held in South Korea. That was immediately followed by news that the DPRK’s leader, Kim Jong-un, and the South Korean president, Moon Jae-in, would be meeting at Panmunjom, a village on the demilitarised zone separating the two Korean countries and made famous by its location. The two leaders cordially met on April 27 2018, the second meeting between the leaders of the two Korean states created in July 1953 to end a three-year-long war that had pitied predominately northern-based Chinese-backed freedom fighters led by Cde King Il-Sung, paternal grandfather of the current leader, Kim Jong-un and Japanese colonialists. Based mostly in the Chinese region of Manchuria, Kim Il-Sung’s freedom fighters were communists and were strongly supported by the Chinese revolutionary communists led by the renowned Mao Tse Tung. While Mao Tse Tung and his innumerable patriots were leaving no stone unturned to establish a socialist state in mainland China, Kim Il-Sung and his group were fighting tooth and nail to kick out the Japanese who had colonised Korea earlier. Meanwhile, the US had atomic-bombed Japan into unconditional surrender in August 1945 and thereafter, assumed a virtually neo-colonialist position over that country. It got directly involved in the Korean-Japanese conflict but on the Japanese side. Having literally devastated large regions of Japan (Nagasaki and Hiroshima), the US immediately launched what it later called ‘a compensatory development investment programme’ to resuscitate and modernise the Japanese economy. It then got involved in Korea to counteract Kim Il-Sung’s communist revolution that was strongly and openly supported by Mao Tse Tung and also to protect its massive economic interests in Japan, which is a few kilometres to the east across the sea. As Kim Il-Sung’s revolution moved irreversibly southward, that is from Pyongyang towards Seoul, the US put the issue before the UN whose agreed solution was to divide the Korean peninsula into North and South Korea. The UN armed forces were to be stationed along the dividing line known as the ‘demilitarised zone’ which became the boundary between the two parts of that land. The UN called for and got a ceasefire, but not a formal permanent peace treaty, and that is what obtains between the two Koreas up to now — May 2018. The US armed forces have, since 1953, represented UN military personnel along the demilitarised zone but are based on the South Korean side. Meanwhile, the US and several other European countries have poured massive economic investments into South Korea, hence their highly audible pro-Seoul bias. The current diplomatic development has raised two inevitable questions: Will the DPRK agree to destroy its recently made nuclear arsenal as is publicly demanded by the US? Two: Should the two Koreas decide to be reunited as they seem to be saying, how will they harmonise the DPRK’s highly regimented socialist economic system with South Korea’s laissez faire economy? Incidentally, in July 1994, Kim Il-Sung died and was succeeded by his son, Kim Jong-il, who that same year signed an agreement with the US for the DPRK to dismantle its nuclear weapons development programme. In December 1997, a former South Korea dissident, Kim Dae-jung was elected president and in June 2000, he held a summit with DPRK’s leader Kim Jong-il, at an undisclosed venue and discussed the reunification and the establishment of peace between the two countries. Nothing happened about these objectives since then. Whatever the answers are to, and explanation of, what has transpired hitherto, two important facts have emerged and they are first that the US’ position and influence in the Korean peninsula have been markedly weakened by the obvious normalisation of relations between Pyongyang and Seoul and second, that the DPRK is now a de facto nuclear power. Washington is deeply concerned about what it regards as either rogue or radical states becoming nuclear powers, hence the liquidation of Iraq’s Saddam Hussein and its current worry about Iran’s capability to develop nuclear weapons. The US’ position is that regimes that support terrorism and are (according to the US itself) terrorists themselves should not be allowed to develop or possess nuclear weapons. Presently, countries that have nuclear weapons are the US, UK, France, Russia, Israel, India, Pakistan and China. The DPRK is the latest member of that group. The first and hitherto last time a nuclear bomb was used as a weapon was in August 1945 when the US bombed Hiroshima and Nagasaki in Japan. The effect of each of those two atomic bombs were the equivalent of 20 kilotons or 20 000 tonnes of TNT. Some 100 000 people were killed instantly and in a couple of days thereafter while the radioactive substances of those bombs had a fatal effect on a very large number of people for many years after that unforgettable event. In 2002, a Washington (DC)-based research organisation, called the Centre for Defence Information (CDI), said there were more than 20 000 nuclear warheads in the world. They comprised powerful strategic devices and smaller tactical weapons. The US and Russia had each more than 10 000, the UK some 200, France about 350, Israel between 100-200, India about 60-70, while Pakistan had about 25 such nuclear warheads. These old statistics are bound to have been overtaken by new developments. Russia inherited most of the large nuclear arsenal when the Union of Soviet Socialist Republics (USSR) disintegrated in 1991. The former Russian security secretary, the late General Aleksandr Lebed, raised people’s eyebrows when he revealed in 1997 that about 84 suitcase nuclear devices could not be traced in the early 1990s. Although some Russian security officials poured cold water on the general’s statement, it nevertheless caused much consternation throughout the world. Many people remembered what had occurred in the Brazilian city of Goiania in 1987 when a few scavengers had found a discarded radiation therapy machine containing powdered radioactive cesium – 137 powder. The scavengers, who wanted scrap metal, cut open the cesium – 137 capsule and distributed the powder in the town. More than 250 people were seriously affected, four of them died, more than 25 got radiation burns and well more than 100 000 were monitored for radioactive radiation. The city conducted a clean-up campaign that was reported to have produced 1 470 boxes plus 125 000 drums of contaminated clothing, furniture and many other utensils and equipment. It is the fear of contamination by radiation that causes many governments to oppose nuclear proliferation. However, many Middle-East governments argue the North Atlantic Treaty Organisation (NATO) did not oppose Israel when it developed its nuclear weapons, but went to war against Iraq for merely suspecting that it had weapons of mass destruction — which it did not have! Another concern shared by the UN, especially the developed European nations, is what would happen if nuclear weapons were to get into the hands of religious radicals such as, Al Qaeda, Boko Haram or El Shabaab. What those fundamentalists could do with such lethal weapons is too ghastly to contemplate!